I got laid up yesterday by illness and missed my 2nd art post of the new year! Not the best way to begin, but there wasn’t much else I could do. Still not feeling my best, but I got my new coloring books done! 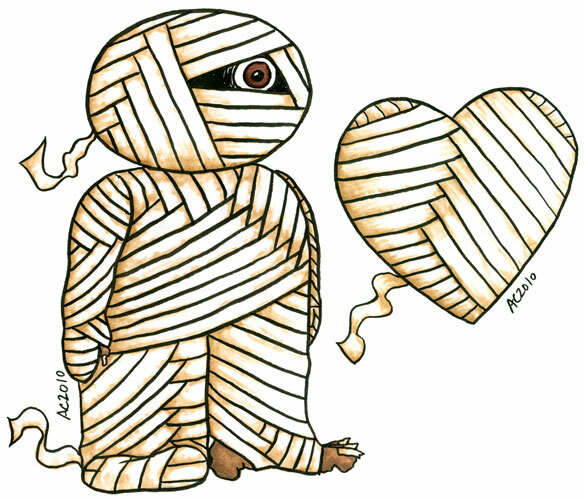 Today I have the fully-colored Mummy illustration from my new Monster Heart Coloring Book. He was fun to color despite the simplicity, I got to use some techniques to age his bandages without making him totally yellowed. I even have a marker called “old linen” that I used. You can get him for your mummy-loving Valentine at Etsy, or buy the original below. 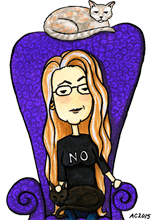 The Mummy and The Mummy’s Heart, both 5″x7″ pen and ink and Copic markers on watercolor paper. $129 for the pair in a double frame, with free shipping.